As Christmas approaches, there is one thing on which we can always rely, year after year: festive television specials. For those who are tired of cute Christmas episodes where everyone from the Brady Bunch to Buffy the Vampire Slayer gets into the festive spirit, or don't need to see yet another broadcast of the much-loved Rudolph the Red-Nosed Reindeer, here is some alternative Christmas programming, with clips that are definitely worth watching this holiday season. Even in the early days of television, drama series had Christmas episodes. This one, from Oscar-winning screenwriter Richard Breen, was so popular that it was first heard on the radio serial, filmed for the 1950s TV series, and filmed again (as "The Christmas Story") for a 1967 series revival. In the story, Sgt Joe Friday (Jack Webb) and his partner (Ben Alexander in the first TV series, Harry Morgan in the second) spend their Christmas Eve looking for an almost "worthless" statue of the Baby Jesus that has been stolen from the Old Mission Plaza Church, hoping to return it in time for Christmas mass. They discover that it was borrowed by a young child, who had been given a wagon for Christmas, donated by charity, and wanted to take the baby Jesus on the first ride. "Paquito's family"¦" explains the priest, "they're poor. " Friday looks at the Nativity scene. "Are they, father? " he says. Christmas variety shows were an inescapable part of Christmas for about 30 years, hosted by Perry Como (who did no less than 39 Christmas specials), John Denver, Bob Hope, The Carpenters and many others. One of the more serious, without the usual comedy sketches and "surprise" appearances by Santa, was Johnny Cash's 1977 Christmas special, including an all-star tribute to Cash's friend Elvis Presley, who had died a few months earlier. That same year, however, provided an even more unusual, and even more moving, Christmas show. For his sixteenth Christmas special in a row, legendary singer Bing Crosby wanted to sing with a young star. As he was on a concert tour of London, someone suggested 30-year-old David Bowie, who was then one of Britain's more offbeat glam-rock artists. Bowie happened to be a huge Crosby fan, so he jumped at the chance. In a segment filmed on September 11, they sang "Little Drummer Boy," which was perfect for Crosby's crooning, but as Bowie's voice was higher, he also sang Peace on Earth as part of the same number. Bing was impressed by the "clean-cut kid" and gave him his phone number. Sadly, the crooner died a month later, giving extra poignancy to the special when it was shown in November. In this popular episode, Toby (Richard Schiff) discovers that a homeless man who had died wearing one of his old coats was a Korean War veteran. 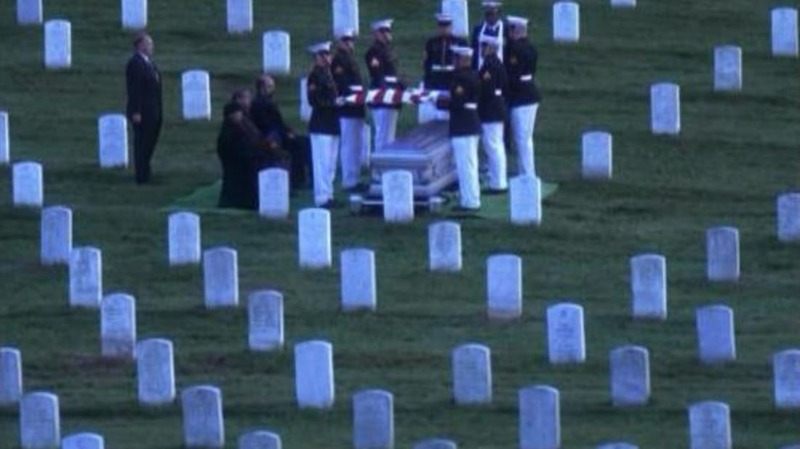 Using the authority of the president's office, Toby arranges a full military funeral at the Arlington National Cemetery. President Bartlet (Martin Sheen) is not happy, afraid that this could create precedent. "I can only hope so," says Toby. He attends the funeral, along with the president's secretary, Mrs. Landingham (Kathryn Joosten), who reveals that she lost her twin sons in Vietnam on Christmas Eve 1970. Also in attendance: Arlington superintendent John C. Metzler, Jr, appearing as himself "“ presumably the only time he has attended a funeral for a fictitious person. The episode was made with the Pentagon's full cooperation. A Christmas Carol is a ritual of Christmas television. Many versions of have been filmed, starring everyone from impersonator Rich Little (playing Scrooge as W.C. Fields) to the Muppets. But the funniest was probably the British comedy Blackadder's Christmas Carol (1988), about Ebenezer Blackadder (Rowan Atkinson), a kindly and generous shopkeeper in Victorian London. By the episode's end, the Spirit of Christmas (Robbie Coltrane, looking like he did as Hagrid in the Harry Potter movies) unwittingly inspires him to become selfish and cruel "“ and stop being exploited by everyone else. Bah humbug, indeed! The BBC science fiction series Doctor Who is almost as much of a British institution as Christmas TV specials. For the past three years, they have combined the two, so that Doctor saves the world from alien invaders each year at Christmas. As a result, everyone is too scared to leave their houses during the festive season. The first Christmas special, however, had a bonus for fans. After his all-too-brief stint in the title role, actor Christopher Eccleston was leaving the series, and the Christmas special properly introduced his successor, David Tennant. After spending half the episode bed-ridden, as the vicious Sycorax race prepares to subjugate humanity, the new Doctor appears just in the the nick of time, still dressed in his pyjamas. "Did you miss me? " he smiles "“ and fans cheered in living rooms all over Britain. From that moment, his friends (and the viewers) know that the situation was all under control.